Here you will find restaurants in our local area. We've tried them all and given you our own food review. These are only a handful of the restaurants but there are several others around the South Bay area with all types of cuisine at your fingertips! Visit Open Table to help make reservations or contact us for any questions or other suggestions. Reservations are a must if you want to enjoy the incredible food at Rock 'N Fish. 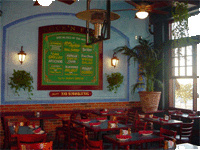 The restaurant is located downtown MB right next to the Manhattan Beach pier. Love the clam chowder and crab cakes here. Reservations can be made for this quaint, reputable, family Italian restaurant. Mama D's is famous for its Mama D's sauce which is a mix of alfredo and red sauce - exceptional! This restaurant is part of a delivery service LAbite.com. 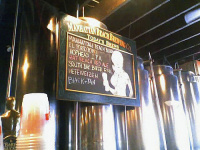 MB Brewing Co. is one of CA oldest brew pubs, brewing over 35 small batch brews. Jason prefers the Blond or the Amber Ale. JoAnn loves their homemade pretzels. MB Brewing Co. has exceptional sandwiches, burgers and salmon entrees. The Kettle is open 24 hours a day, seven days a week. The menu offers a variety of items from soups of the day, to salads, burgers and sandwiches. 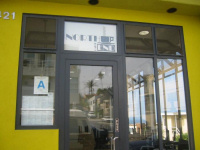 It is located on the corner of Manhattan Beach Blvd and Highland right in the middle of downtown MB. 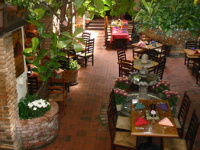 Pancho's has excellent chips and salsa and was voted the best margarita in the South Bay. Pancho's provides live entertainment in the bar on the weekends. Sloopy's offers brunch, lunch and dinner and is a favorite for the local surfers. JoAnn loves the daily soup and Jason prefers the Mahi Mahi sandwich with french fries. They have an indoor fire pit and an atrium in the back where you will enjoy the sounds of birds all around you. The North End Caffe offers the best hands down sandwiches for both breakfast and lunch. Sit down inside next to big open windows or outside and enjoy the breeze and passersby. The North End Caffe makes an incredible cup of cappuccino and Italian sodas. Love it! P.F. 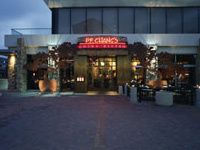 Chang's is located just east of Sepulveda Blvd, west of the Summerfield Suites and south of the Hacienda Hotel. P.F. Chang's offers a variety of family style entries from Kung Pao (your choice of meat) to sweet and sour (your choice of meat). P.F. Chang's is famous for their lettuce wraps as an appetizer or a main course (JoAnn's favorite) Jason loves the lemon pepper shrimp dish! 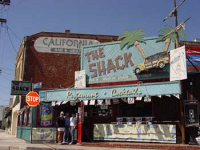 The Shack is home of the world famous (Best Burger In L.A.) Shack Cheese Burger: A big juicy 1/4 LB beef patty covered with all the fixins AND a grilled, spicy Louisiana sausage (or portuguese sausage on request)! And your choice of American, Swiss, Cheddar or Jalapeno cheese. Ranked #1 by the LA Times.